Planetary Annihilation: TITANS have arrived! A big hello to all of our backers! You've gotta be shipping me! You’re shipping me, right??! Is it true, are the rewards on their way?? We have not shipped the physical rewards yet as some of the items are still in production. The Rewards Fulfillment Department has another update to its fulfillment progress chart. And, yeah, this one has some news: delivery estimates are now Winter. Online? Offline? However you want to play Planetary Annihilation, it's your choice. Starting this week, you can take your battles completely offline. tl;dr: today, we announced a new Kickstarter for a strategy game. 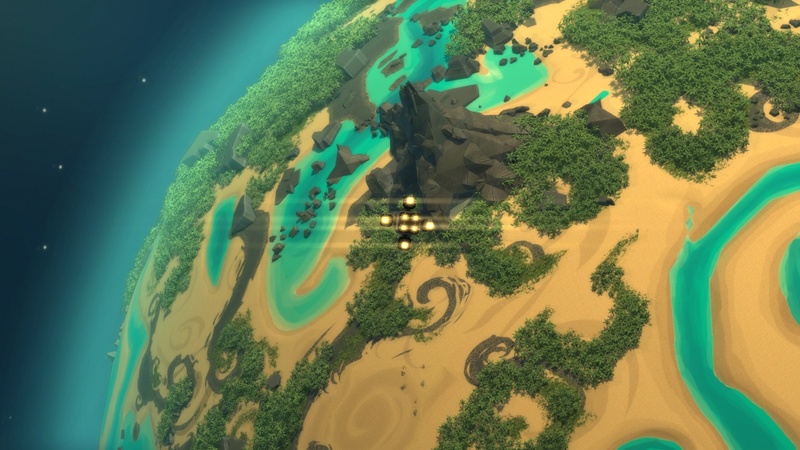 Plans for Planetary Annihilation’s development will be unaffected. Human Resources’ team is a separate team. 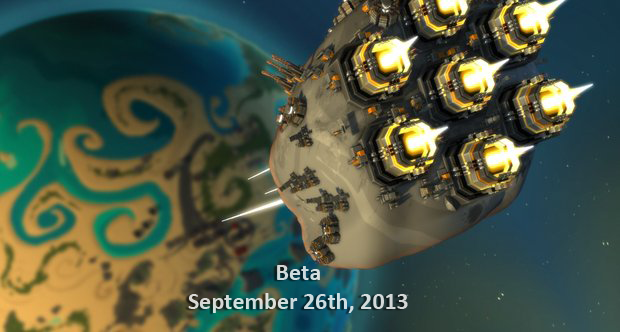 Today, we're proud to announce that Planetary Annihilation will officially release on September 5. Uber Entertainment Heading To PAX Prime! Buckle up: Uber Entertainment is heading PAX Prime 2014 on August 29-September 1 — and its taking Planetary Annihilation with it. Years ago, we opened our studio and embarked on a journey. The Second Round of Cloak And Danger Starts Now! The First Round Of Cloak And Danger Is LIVE! Sixteen of the most dangerous Planetary Annihilation players are about to square off in a legendary tournament full of suspicion, intrigue, and treachery. Strap in. Planetary Annihilation's epic orchestral soundtrack is now available to download -- and, of course, it's free to all of our dear supporters. Fires! PTE! Balance! Oh My! Watch Battle of the Beasts Live! Right Now! A handful of the BEASTLIEST teams in Planetary Annihilation are about to square off for eternal glory — and an epic prize. Planetary Annihilation Update Goes Live, Enters Gamma Phase Of Development! Gamma Release Livestream: Join Us This Thursday And Friday To See Gamma In Action! Gamma Feature Reveal: Replays, Alliances, Multi-Planet Spawns, And More! Gamma Feature Reveal: Friends, Chat, Browsing, And More! A New Update Is Out! Unit Formations, New Orbital Play, And Much More! We're Doing A Livestream And Talking About The Latest Update Today! Hey, We're Streaming Our Playtests! 2014 Update News And Custom Commanders! Happy Holidays! Planetary Annihilation Available As Part Of The Steam Holiday Sale! When we think about the holidays, we think about snow. And candy. And John McClane. 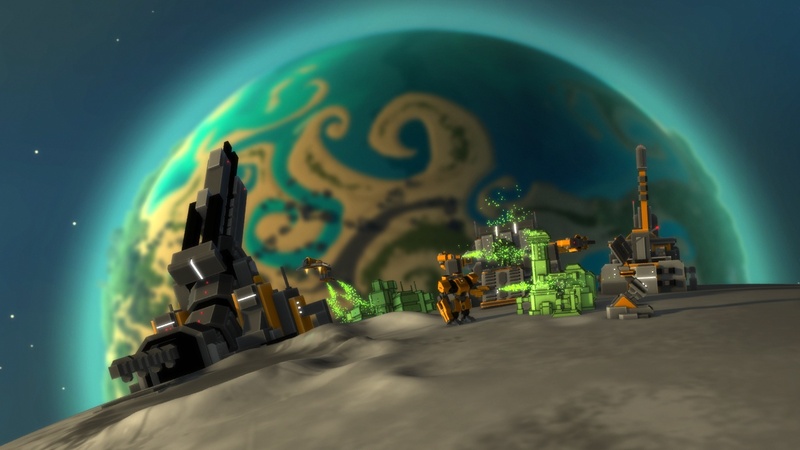 Details On The Retail Release Of Planetary Annihilation And An Upcoming Update Tease! New Update! Interplanetary Nukes, New Orbital Camera, And More! In order to deliver the best possible experience to our current and future players, we're postponing the estimated release of Planetary Annihilation to ... when it's done. Fall. A Great Time To Livestream, Too! Fall is indeed a wonderful time to smash some planets. It's also an awesome time to curl up with your computer and watch another Uber livestream. Fall. The Planet Smashing Season. You're In! Come Smash Some Planets With Us, Backers! Game Update: AI Is Now Bigger, Badder, And ... Scalable! Creating a universe is hard. Naming the stuff we’ve put in it is a challenge, too. Lore! Faction 1 Poll Reveal! Today's Update Packs A Punch! Join Us For Another Livestream This Friday! Strap in, Founding Commanders! It's almost time for another Planetary Annihilation livestream! Patches! Coming To A PA Near You Soon! We've got some awesome news to share this afternoon: beta begins on September 26, 2013. Alpha Week 3, Mac and Win 32, Linux going strong! Hey all, we have a brand new, big update #21 for you, which also happens to be official blog post entry #1! A quick update for everyone. We are working on a major update, but in the meantime here’s some teasers of what we’re working on. Greetings all, some updates for the news deprived! The final mile of the Kickstarter marathon! Updated 4:50 PM PST: Clarified minimum requirements for add-ons. You spoke, we listened; Linux support is confirmed. This is not a stretch goal. We are supporting it right out of the gate.